Francesco Redi’s major contribution to science was that he argued against the theory of spontaneous combustion. Spontaneous combustion was the thought that some living organisms emerge from other inorganic material such as fleas being made from dust. Francesco challenged this theory by proving that maggots come from the eggs of flies rather than rotten meat as previously thought. He did this by conducting an experiment where he placed a piece of meat in two identical jars, one he left open and the other he covered with cloth so that air could get in but flies couldn’t. After several weeks Maggots appeared in the meat of the open jar but not in the closed one, proving that maggots don’t spontaneously spawn from rotting meat but rather flies lay their eggs on it. Anton van Leeuwenhoek was named the father of microbiology after he was the first to discover single celled organisms or as he called them, animalcules. Anton wanted a better microscope to observe smaller things more clearly. He invented the worlds first compound microscope to do so and with it he was able to study bacteria and cells. This initial discovery influenced future scientist and helped them in their understanding of disease and how it spreads. 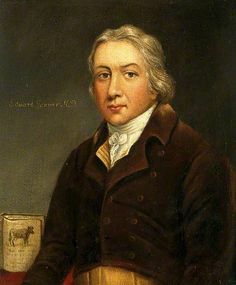 Edward Jenner was the pioneer of the world’s very first vaccine, the smallpox vaccine. At the time, smallpox was a very deadly and infectious disease. Inoculation (a form of immunisation) already existed where a patient was given a small infection of smallpox in the hope that it would protect from further infection. Edward came across his discovery when he noted that milkmaids in the country were being infected by a minor disease called cowpox, however they seemed to be immune to smallpox. He thought that infecting people with cowpox might be more effective than the regular way of doing it. To test this, he inoculated a boy with cowpox and then tried to do the same with smallpox but the boy was immune. Edward tried this in a number of other patients with the same result. He called the cowpox Variolae vaccinae which is where the word Vaccine comes from. John Snow was the first physician to safely administer chloroform to patients undergoing surgery, effectively creating the first anaesthetic. 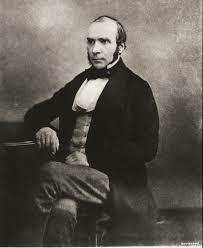 He was also able to discover the source of the London cholera outbreak in 1854. Even though Snow didn’t know about the germ theory of disease and how microorganisms can spread through a population, he was still able to deduce the source of the outbreak. By observing maps where the disease was most prominent, John was able to deduce that the waterways and water pumps where causing the infection. 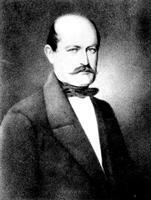 Ignaz Semmelweis or the ‘saviour of mothers’ was the first person to introduce antiseptic handwashing in hospitals. In the late 1800’s, doctors and surgeons did not wash their hands when moving between patients and thus where causing sickness to travel in the hospital unintentionally. In the hospital where Ignaz worked there were two divisions for pregnant mothers, first and second. They were both identical other than that students were doing the treatment in the first and midwives in the second. Ignaz, who was studying puerperal fever (childbed fever) at the time, noticed that there was a higher mortality rate in the first division than the second. After observing that a friend who died in surgery had similar symptoms to childbed fever, he was able to connect that students who were going straight from dissecting to examining mothers were carrying a disease with them. He immediately put in place a rule to wash your hands after every patient and because of that he saved many lives. Louis Pasture proved multiple things with his research. He gave conclusive evidence against spontaneous generation as well as discovering fermentation and pasteurisation. He showed that fermentation occurred due to bacteria and microorganisms that grew in the substance. By proving that yeast was responsible for these bacteria, he began his case against spontaneous generation. Louis also discovered that heating beverages like wine, beer and milk to a certain temperature would kill off the bacteria inside, a method he called pasteurisation. To further prove that spontaneous generation was false, he conducted an experiment where he boiled broth in a swan neck flask. The flask is designed so that no dust particles could go in, only air. He found that unless the flask was broken, there was no growth of bacteria in the broth, concluding that it is particles in the air making it spoil not the air itself. This fact would later be used as a major groundwork for the germ theory of disease. 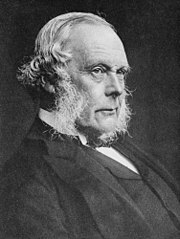 Joseph Lister transformed surgery in the late 1800’s. By expanding on Ignaz Semmelweis’ theory that infection travels between people and Louis Pasture’s work saying that microorganisms cause infection, Joseph was able to save thousands of lives. After observing that the mortality rate or amputees in his ward was 50%, he decided to introduce sterile surgery to decrease chances of infection. To do this he began dressing wounds with phenol, an antimicrobial meaning that it would kill or inhibit the growth of microorganisms. Joseph found the mortality rate dropped drastically and so he went even further by washing and sterilising instruments and spraying the operating theatre with phenol. He was able to drop the mortality rate from 50 to 15 percent. 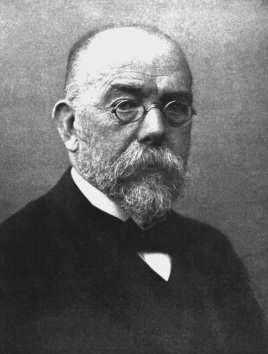 Robert Koch built upon Louis Pastures germ theory and devised a way to link certain bacteria with certain diseases. He created 4 rules to prove that a bacteria caused a certain disease. Using these rules he was able to find the bacteria causing anthrax by pulling it off a sheep who had died of it. He then injected multiple mice with the bacteria and they all died of anthrax. He used the same method to find the bacteria causing cholera and tuberculosis. Koch's methods were adopted by others to find the causes of typhus, tetanus and the plague in 1894. Alexander Fleming was the first man to discover penicillin. While studying the properties of a bacteria called staphylococcus, Alexander went on a holiday and when he returned noticed that one of the Petri dishes had formed a mould that killed the surrounding bacteria. He decided to grow the mould and discovered that it killed a lot of bacteria that were known for causing disease. He named it penicillin after identifying it as coming from the penicillium genus. Fleming discovered the first antibiotic but Howard Florey was able to mass produce it. Although Alexander Fleming discovered penicillin, Howard Florey was able to concentrate it and mass produce it to be used by everyone. Howard and a team of scientists experimented on the effects of penicillin on animals, specifically mice. They injected 8 mice with streptococci, then administered 4 of them with penicillin. The next day the 4 with penicillin were alive while the others were dead, proving that penicillin did in fact kill bacteria. They then worked on extracting and purifying the penicillin to be mass produced to the public. Because of this major achievement, antibiotics were readily available to soldiers in WW2 and anyone who needed it.